RIght, so the blog has seen a dearth of updates lately… largely due to work and family commitments. In fact, this is my first post of 2013, which makes my personal target of at least one good post a week seem little a little poor. Anyway… on to the good news. With the worst of the winter behind us (surely!!) and the days getting longer, if not that much warmer… the 2013 scootering season is kicking off. One of my plans for teh blog is to have a calendar of events, and here’s one for your dairy to start things off. It’s not until the middle of June so there’s plenty of time to make arrangements! My mate Iain, now resident in the beatiful Scottish borders rides with the Lowlanders, and it’s a part of the world I know reasonably well… having relatives in the wonderfully named village of Ecclefechan. 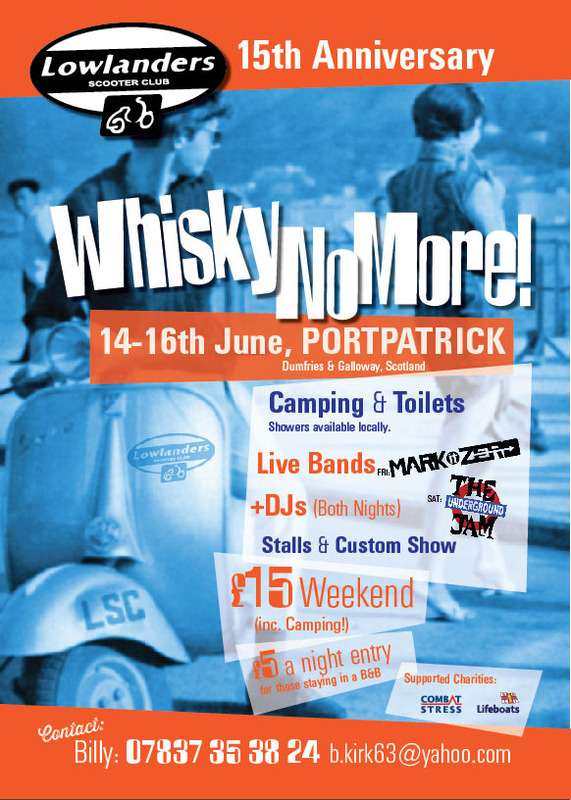 I’ve holidayed near Portpatrick too… and it’s a great little harbour town… but they won’t know what’s hit them when the scooters arrive! So if you fancy a run away from some of the more usual destinations this summer bear it in mind. There. First post of 2013 done. Wasn’t hard was it? More to come soon. Promise. This entry was posted in Lambretta Life, Scooters and tagged Lowlanders, Rally, Scooter Club, Scooter run, Scotland, Summer by crocodilejock. Bookmark the permalink.